Surprisingly enough, I still remember mine like it was yesterday – and I wasn’t even natural yet! I was trying to find a way to stop blow drying and flat ironing my hair during May of 2009, when the DMV starts to get VERY humid and walking from the metro to my job wasn’t working out for my hair at all. I posed this question to my friend, who then told me that she used Miss Jessie’s Curly Pudding to keep her curls “poppin.” Granted, she had a weave, but she had my ear. – In addition to protecting my ends, I also want to keep them as supple and moisturized as possible to minimize split ends and breakage, and oils do not actually provide moisture to the hair. – Heavy moisturizers also often have thicker oils or butters in the first five ingredients, such as shea butter, cocoa butter, castor oil, or jojoba oil, making them ideal for the extra protection. Double the benefits, double the fun. 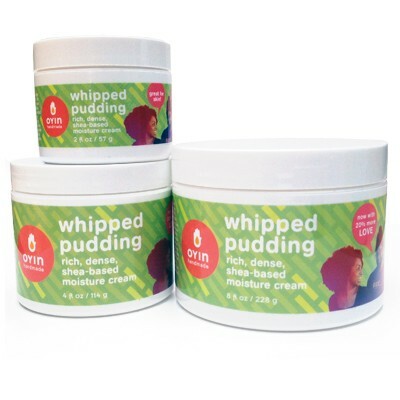 Oyin Whipped Pudding contains shea butter, cocoa butter, castor oil, coconut oil, sweet almond oil and olive oil. You can also use it on your body – it smells like chocolate! 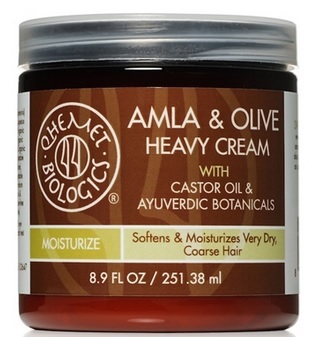 Qhemet Biologics Amla and Olive Heavy Cream doesn’t even list water as the first ingredient – it’s castor oil. 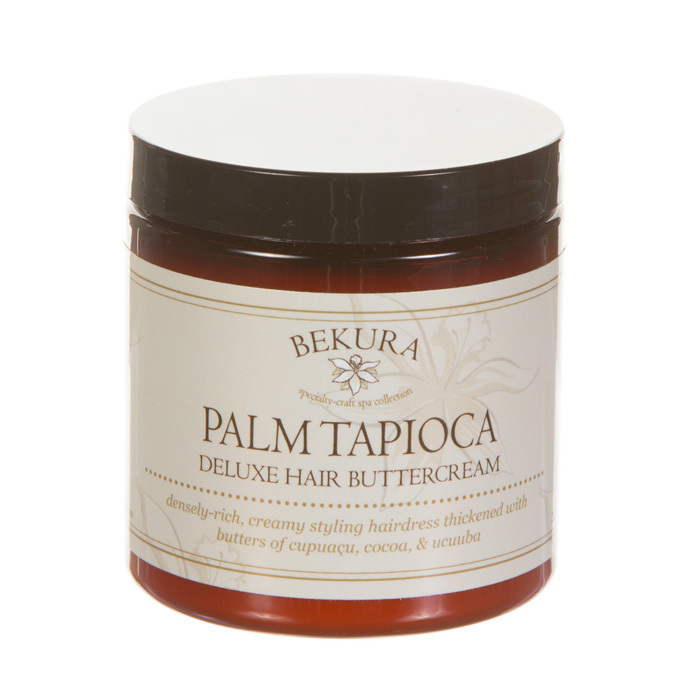 Add in olive oil and ayurvedic botanicals and you’ve got an ideal cream for moisturizing and protecting hair. Oh, and I was talking about Sprees! !